For parents who are interested in a more sensitive and yet scientifically proven approach to sleep, the SNOO Smart Sleeper by Happiest Baby may be a wise purchase. Our SNOO bassinet review will help you decide whether this product is right for you and your baby. When a new baby comes home, parents often worry they won’t get any rest. Newborn babies are prone to fussing and crying throughout the night, even when their needs have been met. Many parents want their children to sleep better but are hesitant to try “cry-it-out” sleep training methods until their child is older. The SNOO works on three of these points: Swaddle, Shush, and Swing. It works automatically, and parents can also control it using a mobile app. During the night, the SNOO gently rocks the child and plays soothing white noise. When the child wakes and fusses, the SNOO activates by intensifying the jiggling and rocking motion. It also changes the level of white noise. As the child calms down, the jiggling and white noise return to the lowest level. When jiggling and white noise fail to calm the baby, the mobile app alerts the parents that some other help is required, like a feeding, diaper change, or a pacifier. The SNOO is a sophisticated piece of baby equipment. The SNOO detects the baby’s cries with a system of multiple microphones. The jiggling motors have no springs and are nearly silent. 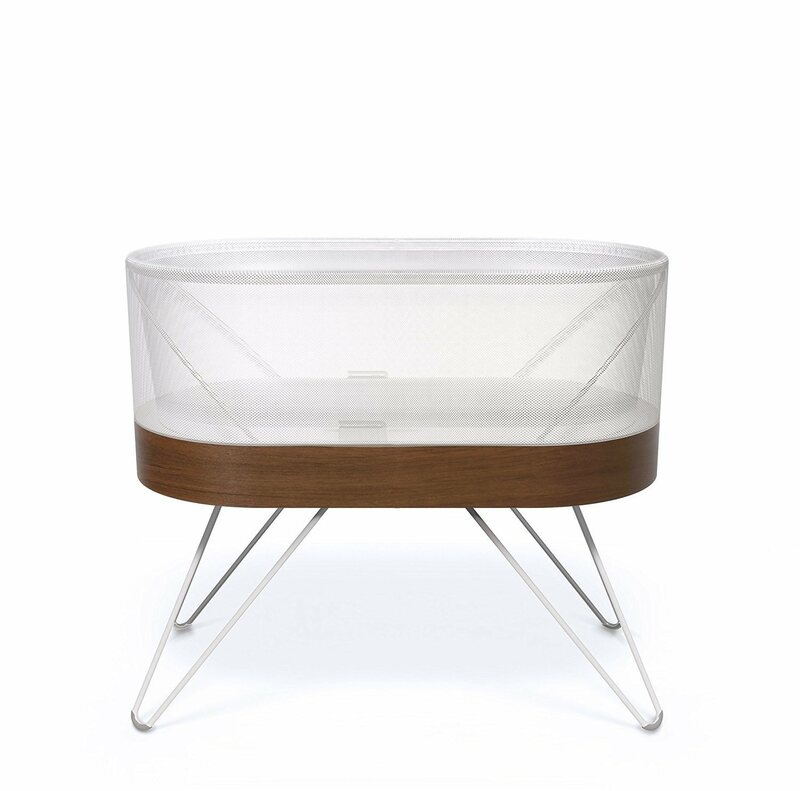 The bassinet is equipped with a metal-shielded WiFi connection to protect your baby from any possible interference. With the bassinet covering “Swing” and “Shush,” the SNOO sack handles “Swaddle.” The SNOO sack is a Velcro swaddling blanket that secures the baby’s legs and arms. It is much easier to use than traditional swaddling blankets. Clips on the sides of the swaddling blanket must be attached to the SNOO before it will turn on. While swaddling the baby, the SNOO sack also keeps him or her in the safest position for sleep, on the back. While the system comes with a tall set of legs, “Shorty Legs” are for sale separately. These bring the bassinet to a lower level for parents with platform beds. According to some, this system has been criticized for reducing infants’ interactions with their parents. Some parents are turned off by the idea of a machine soothing a child to sleep. Other parents have complained of a grinding noise coming from the motor and have had mixed results with Happiest Baby’s customer service. While the bassinet holds up to 25 pound babies, some parents have reported that their children have outgrown it by length long before reaching 25 pounds. Parents with above-average size babies may not be able to use the SNOO for the full six months. 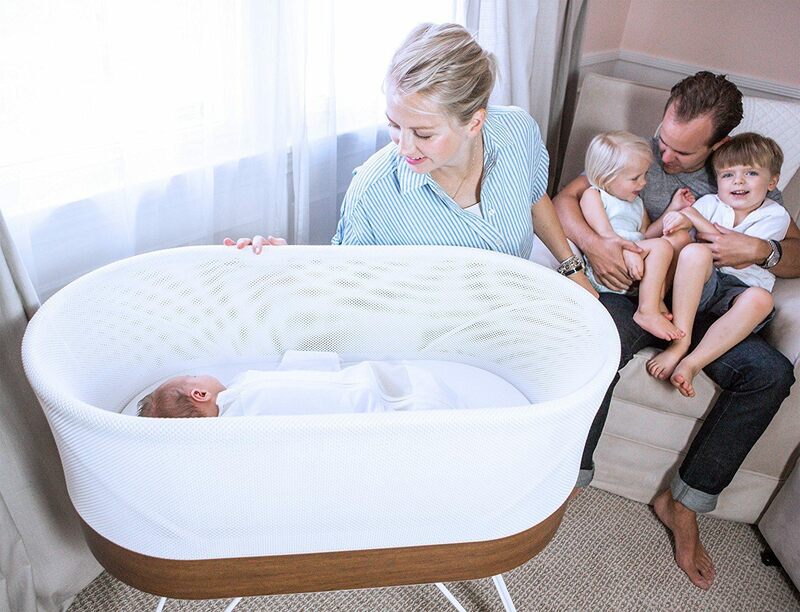 Parents of newborn baby, especially first-time parents or those who are interested in trying a baby bed created by America's top pediatrician, Dr. Harvey Karp, should try the SNOO bassinet. Those who are open-minded in creating sleep habits using a modern technology app will like the SNOO’s interactive qualities. Also, new parents who are sensitive to sleep deprivation may be especially interested in this bassinet. It is available for purchase through Amazon.com or directly from Happiest Baby. While writing this SNOO bassinet review, we were fascinated by the claims of this product. A bassinet that automatically shushes and jiggles a fussy baby back to sleep seems like an invention from the future. Thinking back to the days when our children were infants, we can could imagine relying on this bassinet enhance the sleep of both baby and parents. Overall, the SNOO bassinet is a reliable product for your baby. 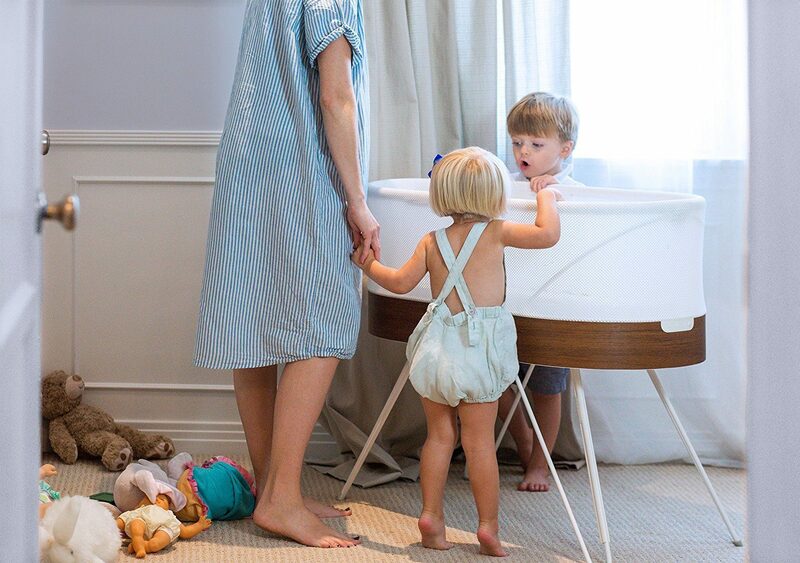 If you are interested in creating healthy sleeping habits for your little one, the SNOO bassinet is a wise purchase for you.